Spanish twins, Alberto and Arian Zandi have introduced a new Latin American restaurant to West London. Vibrant and creative, Zuaya is a prism of animated colour – from the decadent interiors to contemporary, stand-out dishes. Creating this new project from scratch, the Zandi brothers have sourced their new team from some of the most credible restaurants globally to ensure Zuaya delivers brilliant food and drinks alongside a fun, lively and undeniably distinctive atmosphere. 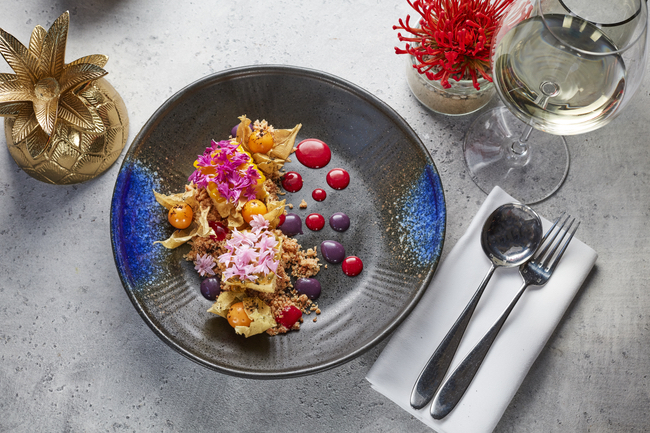 A culinary tour of Latin America, Head Chef Francisco Lafee (from London’s famous Barrafina) takes diners from the ceviches of Peru and the street food of Mexico to the stews of Brazil – all combined with a touch of modern European inspiration. 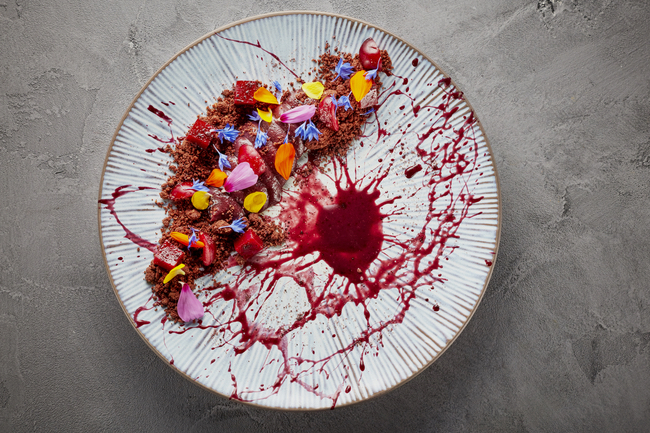 A culinary tour of Latin America, Head Chef Francisco Lafee (from London’s famous Barrafina) takes diners from the ceviches of Peru and the street food of Mexico to the stews of Brazil – all combined with a touch of modern European inspiration. A concept that is designed for sharing, Francisco combines unlikely flavours which can be found across the menu which is sectioned up into eight: snacks, ceviche, tiraditos & tartars, salads, tacos, robata grills, stews and desserts. Seated downstairs within the glamorous two-storey restaurant, Zuaya has been designed as a tropical paradise with vibrant foliage, luxe furniture and quirky curiosities. The dishes are as equally fun – we begin with a pair of fruity pink rainbow watermelon martinis with Crios Torrontes from Argentina which set the playful tone for our evening at Zuaya. A concept that is designed for sharing, Francisco combines unlikely flavours which can be found across the menu which is sectioned up into eight: snacks, ceviche, tiraditos & tartars, salads, tacos, robata grills, stews and desserts. A combination of dishes roll out onto our intimate table from land and sea. A refreshing ceviche a la brasa is served with sweet potato ice cream (and works surprisingly well), with a beautifully succulent pair of purple lamb tacos (my top recommendation). Following on are chicken anticucho skewers and a trio of larger dishes: presa ibérica with butternut squash which are seared and perfectly rare, alongside cassava fries (crispy baked yuca fries). The star of the show however is Zuaya’s dragon red mullet with a nikkei curry sauce – a whole fish that is quickly deep fried and prepared at the table: a real showstopper. The fun at Zuaya doesn’t stop with dessert: we round off our evening with dulce de leche with pink candy floss and a jungle cheesecake with a couple of sweet espresso martinis. 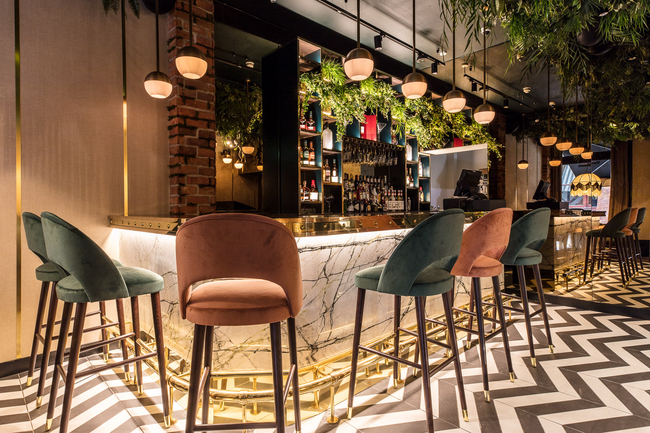 A carefully curated a bar list competes with the food menu and has been created by Head Sommelier, Jaume Farreros Torren (previously of Hakkasan). Mixing playful cocktails using all-natural ingredients, exotic fruits and flavours inspired by Latin America – cocktails include tropical classics such as sours, caipirinhas, mojitos and piña coladas alongside imaginative signatures like the chicano with pisco, dried fig marmalade, fresh lychee juice, zesty limoncello and fresh lime served up in a copper martini glass. Downstairs is where Zuaya comes alive as a botanical oasis. From first impressions, fresh faced Zuaya has already positioned itself as a trendy new hotspot that attracts a young, glamorous crowd. Up on the ground floor, a green marble bar allows diners to enjoy a pre-dinner cocktail complimented with an al fresco terrace. Downstairs is where Zuaya comes alive as a botanical oasis. A sensory show – velvet curtained private booths sit alongside a statement moss-covered living wall, art deco lighting and vintage chandeliers.